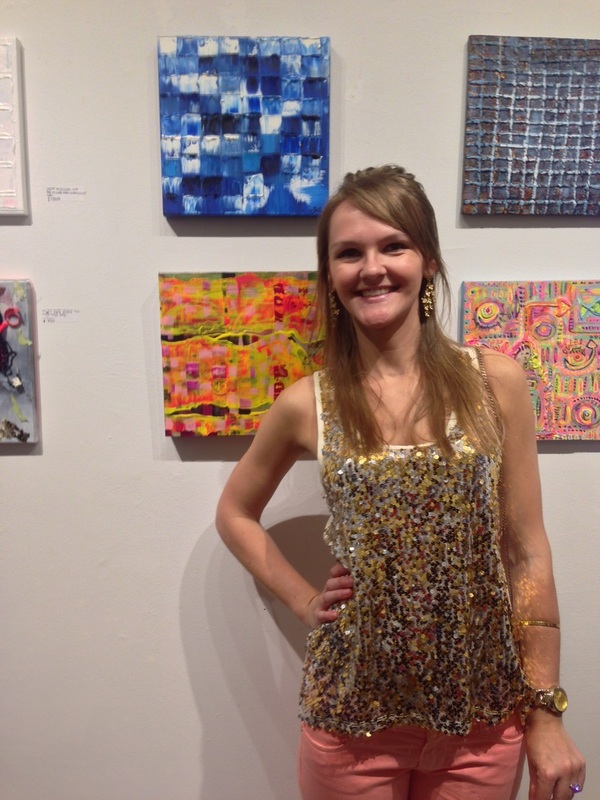 i had the amazing opportunity to participate in an exhibition at castle fitzjohns gallery on the lower east side. 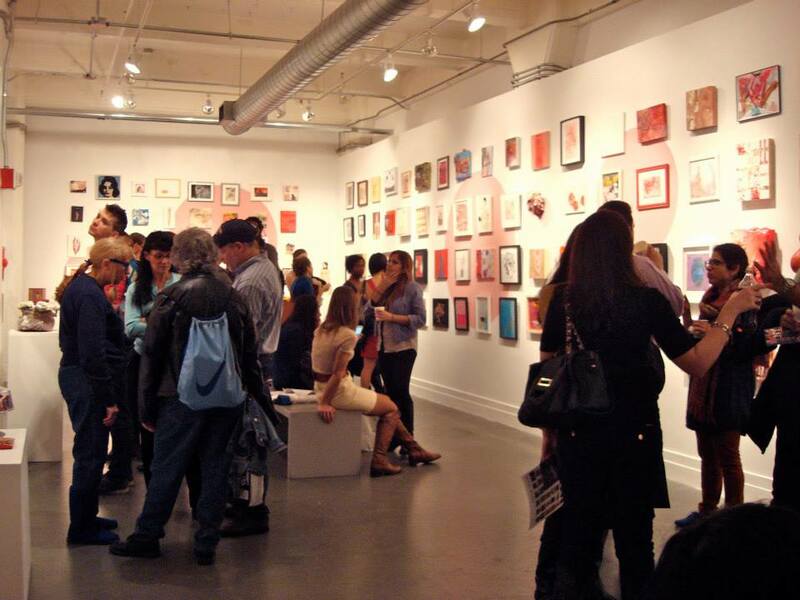 it was a terrific group show called "everyone can be famous for 12 inches", with some truly creative pieces. i displayed my piece 'water', part of the elements series. 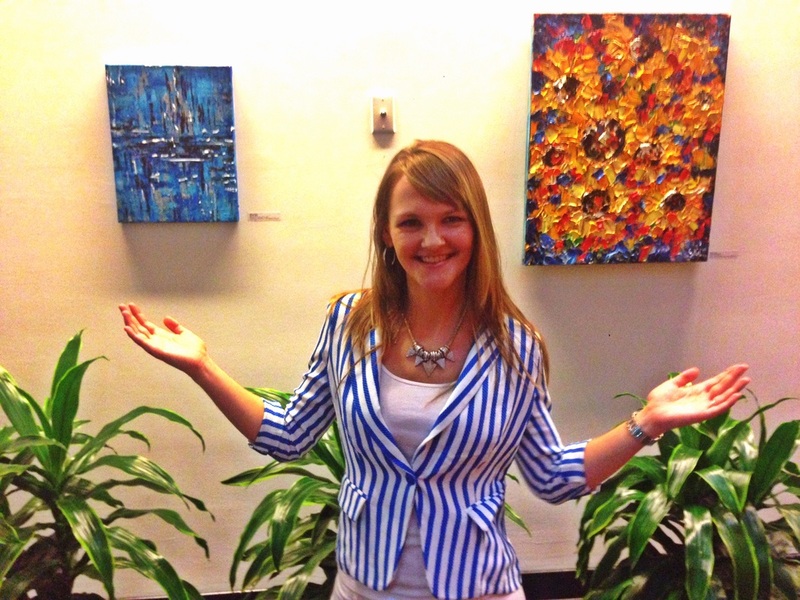 the creative energy was buzzing during the opening reception, which was a huge success. 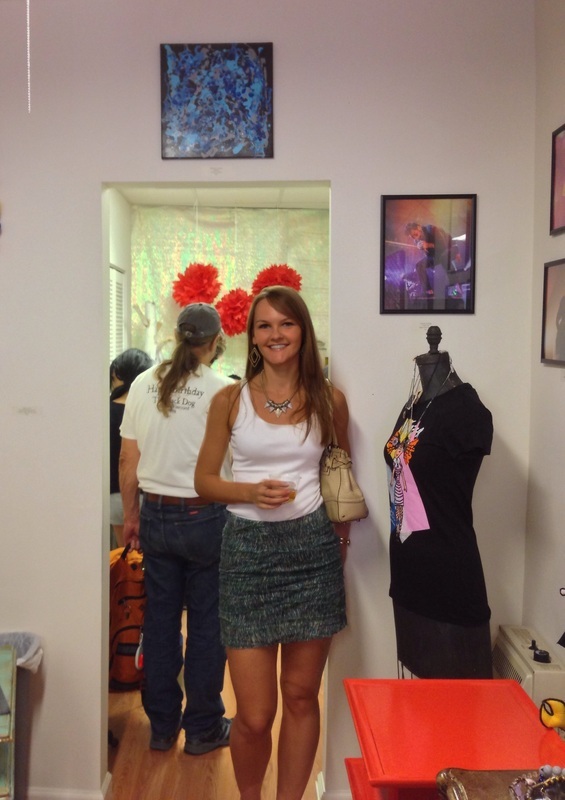 we had a massive turnout to enjoy all the pieces as well as live jazz music! 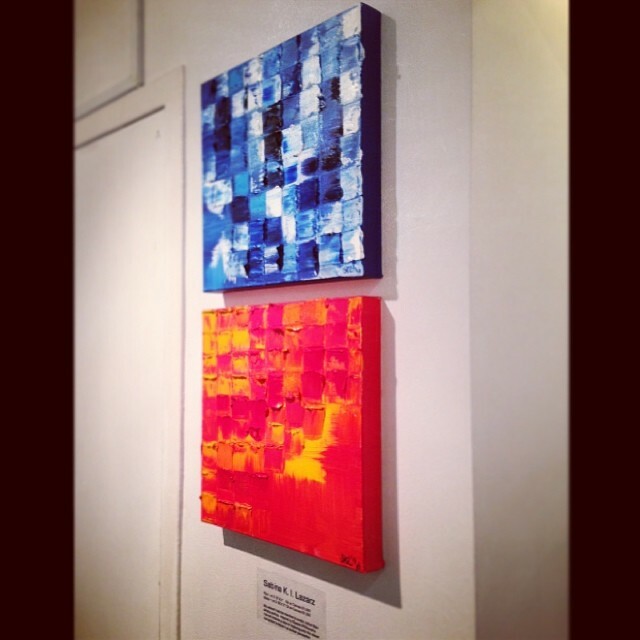 i displayed a new piece called 'plasma' for the poppin retro exhibit at the raven gallery and boutique in jersey city, nj for the month of august 2014.
it was my first time playing around with pouring liquid acrylics to create a very fluid piece, full of movement as the colors swam into and around each other. 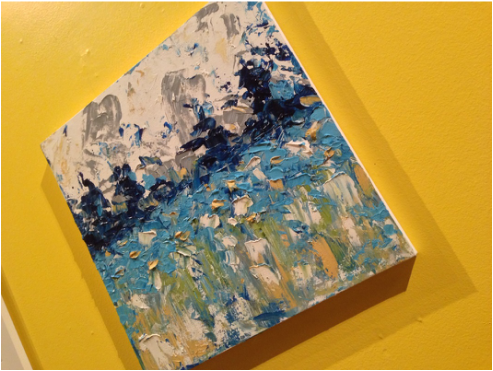 a lovely summer exhibition at the rogues gallery in boca grande restaurant in jersey city, themed 'sands & sea'. right in time for summer where i was able to display my new piece 'tranquility'. i had a great opportunity to be a part of an amazing annual show at the prestigious A.I.R. Gallery in DUMBO Brooklyn. A.I.R. Gallery does a wonderful job to promote and highlight the role and work of women artists on a wider scale. 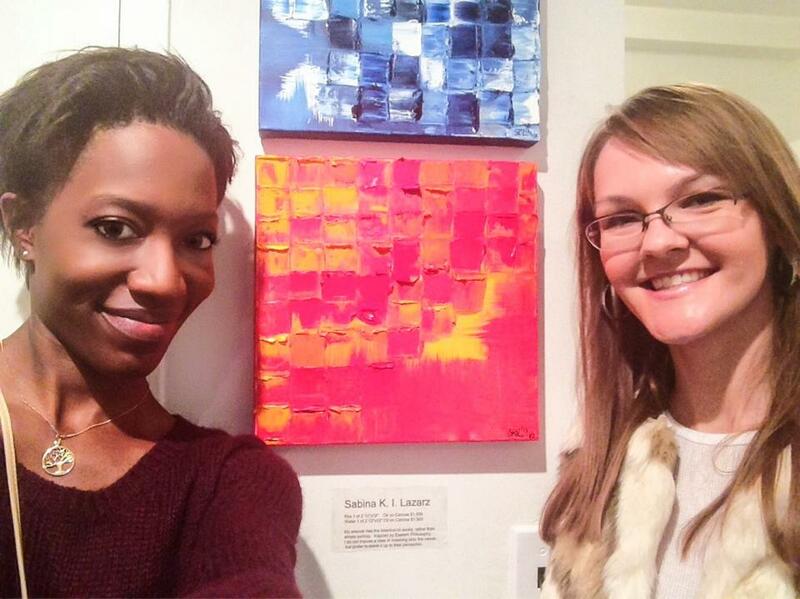 the show this year had a red/pink theme, where i displayed my 'fire' piece from the elements series. i was also ecstatic to meet austin from project runway, who is a patron of the arts! 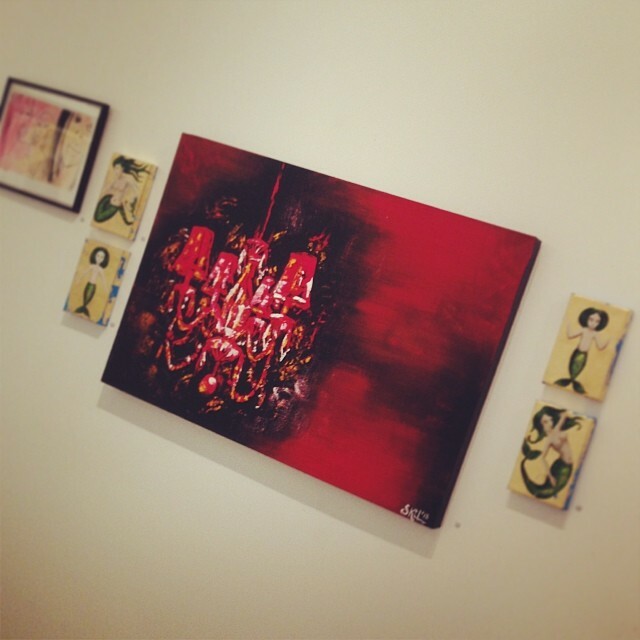 My new piece, LA Dreams, was on display as part of the Holiday Show at 313 Gallery in Jersey City. This piece has a darker and seductive feel with the play of red and black colors, their boldness and feel of dreamlike illusion and transparency. The chandelier evokes an intimate and rich feel. The piece was inspired by my travels to Los Angeles and visiting the exclusive locales in the city. 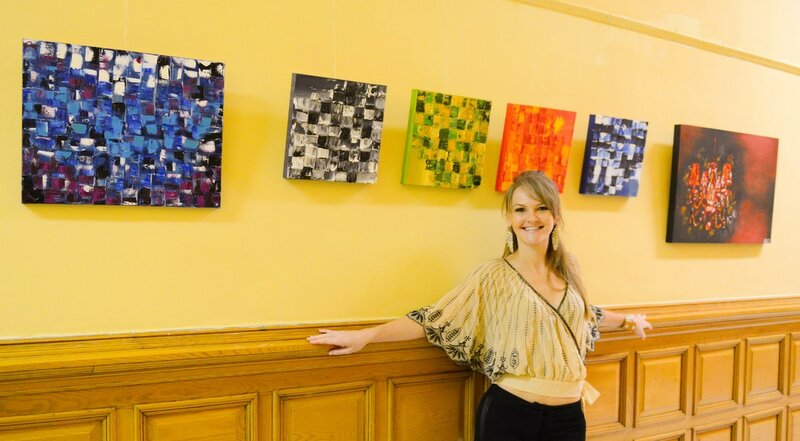 had the pleasure of debuting two of my pieces from my series-in-progress, 'elements'. 'fire' and 'water' were on display as part of the fundraising exhibition, the big small painting show, to benefit the drawing rooms art space in jersey city. had a great time with my surprise supporter and i can't wait to show the completed series soon! i had the amazing privilege to be a participant at the american contemporary art fair held at the javits center in new york city. 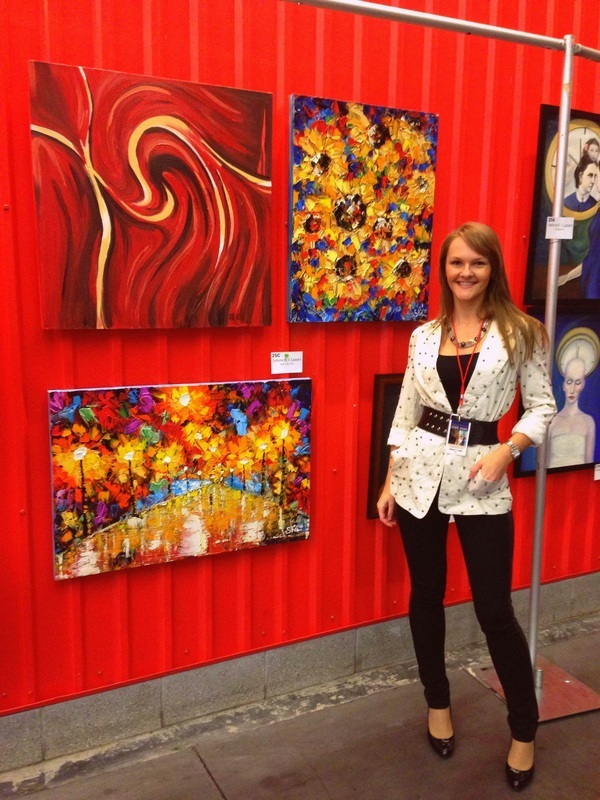 it was an amazing opportunity to exhibit my artwork on a world-class platform - in a venue that connects people from every corner of the globe, and among high caliber and extremely talented artists. it was an enriching experience to gain the reach and interact with viewers, obtain feedback and share artistic visions with fellow artists.